A new conception of intelligence has emerged these last twenty years, in which emotions and intuition take their part. Intelligence is not only limited to deductive logic and verbal abilities. It also includes intuitive and emotional abilities, among others. To be intelligent is to be capable of logic, deduction and abstraction. It is to pass, with flying colours, IQ tests, which have dominated our way of perceiving intelligence since Alfred Binet’s research in the early 20th century. Yes. But what if intelligence was much more than this? What if intelligence had other features, which are not measurable according to an intelligence quotient? Back in the 20s, the American psychologist Edward Lee Thorndike rose up against this narrow vision of intelligence. He pointed out the multidimensional aspect of intelligence, and established a difference between abstract capacities and social capacities. Nevertheless, his groundbreaking hypothesis went unnoticed. It is not until the 80s that again a theorist dared to put into question the consensus on ‘intellectual intelligence’. 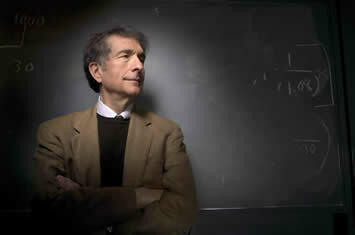 Howard Gardner, eminent psychology professor at Harvard, sparked things off. He published a confidential book, originally meant to be read by a few specialists only. Quite unexpectedly though, ‘Frames of Mind : the Theory of Multiple Intelligences’ became a huge success among the general public. By presenting his theory of multiple intelligences, Gardner incidentally touched upon western society and its process of standardization. Interpersonal intelligence: the ability to recognize moods, temperaments, motivations and desires of other people, to respond adequately to them and to forge links with others. Intrapersonal intelligence: ‘intrapsychic’ ability to understand the self, to access one’s feelings, emotions, to comprehend one’s strengths and weaknesses. The researcher pointed out that the two last abilities, little known and difficult to define, are essential to live one’s life fully, and make the right professional or sentimental choices…in short, to be happy. Gardner’s theory, which upset part of the scientific community, was developed and improved during the following decade. The theory gave birth to the ‘emotional intelligence’ trend. We owe to the Harvard theorist, Howard Gardner, that the notion of intelligence had radically changed in the 80’s, with his theory of multiple intelligences and the emphasis on inter – and intra – personal capacities linked to the understanding of human nature. It is the American psychologist and scientific journalist Daniel Goleman who popularized the notion of emotional intelligence, with the publication of his international best seller ‘emotional intelligence’ in 1995. The book reviews a series of studies conducted in the fields of neuroscience and psychology. Emotions, until then perceived as the enemy of reason, are reconsidered. On the contrary, when used correctly, they are the principal ally to reason. The ‘emotional mind’, more rapid than the rational mind, is able to decipher one’s own and others’ feelings, and possesses a global view of the situation. In complex situations or in cases of emergency or danger, emotions, through their ‘highly adaptive nature’, would be the most efficient. They would allow one to make good decisions. It has been reported for example that individuals deprived of emotions, either accidentally or after an operation, are suddenly incapable of making the slightest decision, even the most trivial, their life thus becoming unbearable (see Descartes’ Error, written by the American neuroscientist Antonio Damasio). In other words, emotions guide us in decision making, as long as we allow them to be expressed without becoming overcome by them. Thus, ‘acting under the influence of emotion’ is not necessarily a bad thing. Along the same lines as emotional intelligence, the notion of intuitive intelligence appears slowly but surely. Intuition has been a privileged theme of neuroscience research over the last decade, and for researchers it is the mark of our subconscious intelligence. The brain, capable of stocking a phenomenal quantity of data, which for the most part escapes our conscious control, is capable of many achievements. It can, unbeknown to our own free will, make analogies, comparisons and associations. It is able to process a large quantity of data in record time and to proceed to a rapid analysis of a situation. All of this, in an unconscious way. 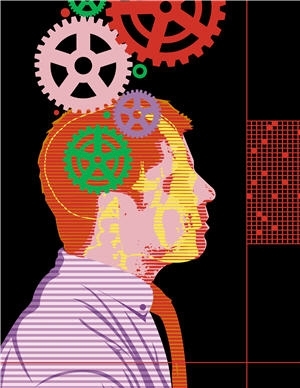 For a long time overshadowed by rational intelligence, held in contempt and disregarded, the notion of intuitive intelligence is now beginning to interest companies, in particular when dealing with managements and leadership. Companies are perceiving that this new approach can be fruitfully combined with the necessity to be responsive in a constantly changing world. – Aptitudes related to self-awareness : capacity to be in contact with, and to accept, one’s subconscious. Affinities with symbolic, analogical and metaphorical languages. Strong understanding of one’s own strengths and weaknesses. Capacity to be in agreement with oneself. Aptitude for introspection. Capacity to understand, identify and deal with one’s own emotions. Capacity to be in relation with the sensitive world. – Aptitudes related to the awareness of others : ability to sense, be receptive to others and their feelings, understand subtle signals and what is left unsaid. Be predisposed to empathy, i.e. to be in tune with the other, to understand what he is living and feeling. Capacity – conscious or not – to decipher body language. Ability to observe attentively. Rational, social, emotional and intuitive intelligence…In this early 21st century, the comprehension of intelligence is being dramatically reviewed and corrected, however we are still far from totally integrating this vision into society and the educational system, largely dominated by the intellectual reference to IQ. While waiting for the day when, maybe, intuition and emotions will become a specific discipline in all schools and education systems we can meditate this sentence from the Swiss psychologist Jean Piaget (1896-1980), specialist in child development, ‘Intelligence is not what one knows, but what one does when one does not know’.
" Le coeur, notre cerveau intuitif ? Thank you. I really enjoyed your blog. I’m working on studying empathy and leadership and needed information on emotional intelligence. Thank you!